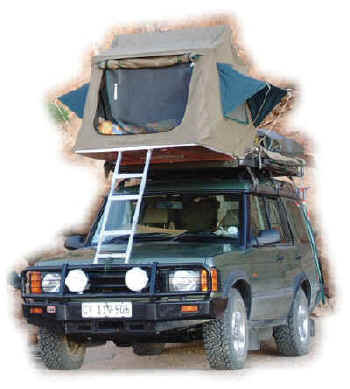 The concept of roof tents was pioneered in South Africa and the country has long been the market leader in design and production of tough, quality roof tents. 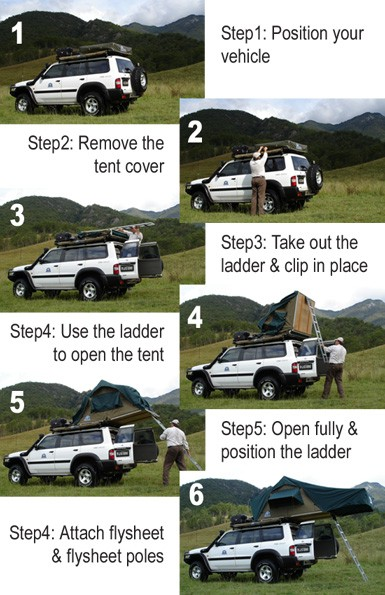 The safety factor and advantage as a lookout position have made roof tents the most sought after, of safari tents. The ability to test the Hannibal roof tent in the field, over rough terrain and in all-weather African conditions, has enabled us to produce a roof tent of strength and reliability. Extra raised flysheet for shading and coolness when in the roof tent. Flysheet is extended past the doors for better rain and wind protection. 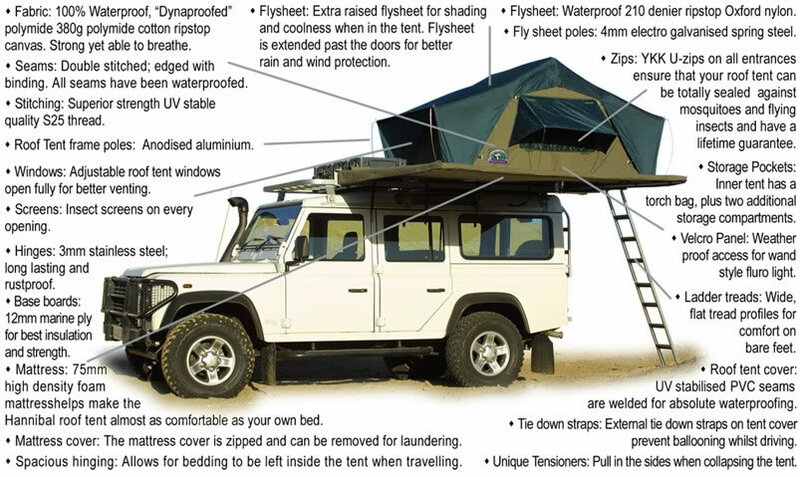 Adjustable roof tent windows open fully for better venting and photography. Mosquito nets on every opening; all unzip separately. Inner tent has a torch bag, plus two additional storage compartments (shoes/toiletries/other). Zips: U-zips on front and back entrances ensure that your roof tent can be totally sealed against mosquitoes and flying insects. 70mm High density foam mattress helps make the Hannibal roof tent almost as comfortable as your own bed. The mattress cover is zipped and can be removed for laundering. 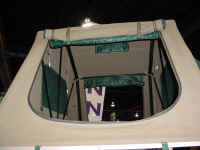 Spacious hinging allows for bedding to be left inside tent when travelling. 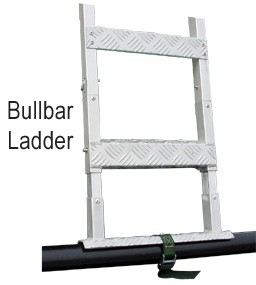 Steps fully profiled for comfort on bare feet.